EcoQuest is an experiential outdoor education program that uses nature in place of a classroom setting. 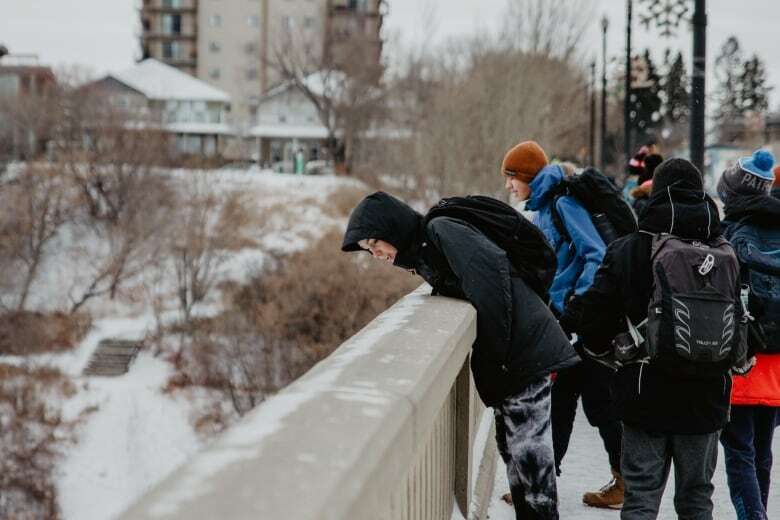 For the past 15 years, it has brought Grade 8 students together from across Saskatoon to experience the outdoors and grow their leadership and time-management skills before entering high school. 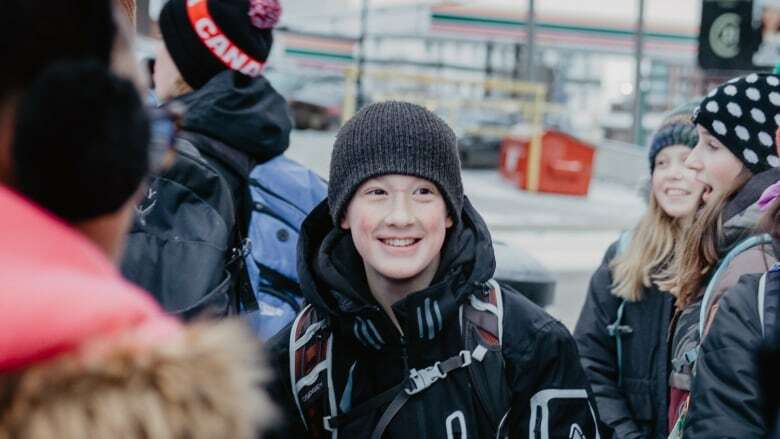 Grade 8 student Ezra Ewert is bundled up in a blue parka, green toque and black mitts to ward against a frigid December day in Saskatoon. It's Wednesday morning and most kids Ewert's age are sitting at desks listening to teachers deliver math and science lessons. That's not the case for him. He is in the EcoQuest class, an experiential outdoor education program that uses nature in place of a classroom setting. For the past 15 years, it has brought Grade 8 students together from across Saskatoon to experience the outdoors and grow their leadership and time-management skills before entering high school. "I like to do stuff outdoors and explore," said Ewert. "I don't really like to sit in the classroom and having, like, 'This hour, we're doing this and this hour we're doing that.'" On this day, the kind of stuff he's talking about involves walking from City Park School, home base for the EcoQuest program, to The Lighthouse Shelter in downtown Saskatoon. It's part of an assignment looking at different organizations and services that make up a healthy community. 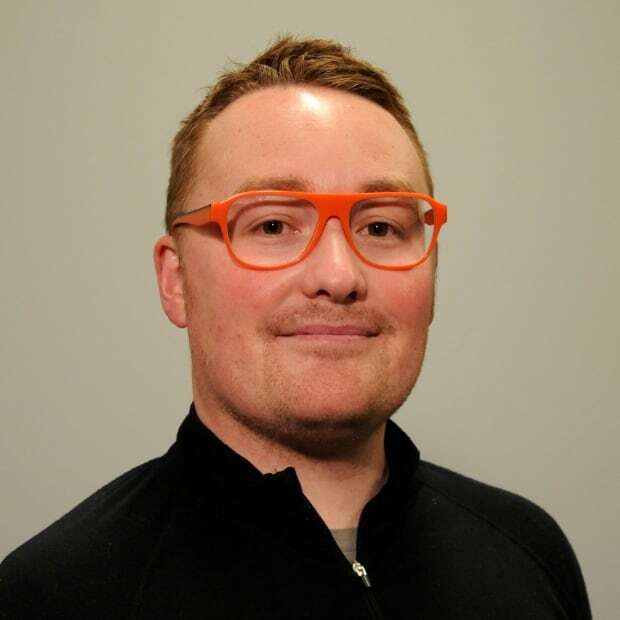 Tyler Rittinger has been teaching EcoQuest students since 2011. He loves being active in nature and jumped at the opportunity. He said students in the program share a few things in common. "They want to put themselves out there and try something a little bit different. It might not be for the same challenge. It might be that challenge of independence. It might be the challenge for their physical abilities, but the students that come here know they are putting themselves out there." Rittinger said the program focuses on four teaching areas: academic, physical, spiritual and emotional. If you are an EcoQuest student, it means you are in great physical shape. Students are encouraged to bike year-round to school not only to improve their health but to see the city from a different perspective. 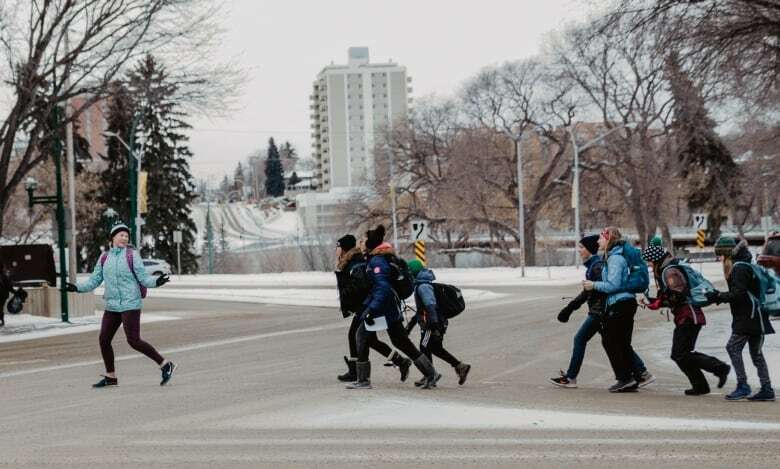 For Lauren Sarauer, her school day involves a 40-minute bike ride to and from her home in Saskatoon's Lakeview neighbourhood. "Going up the Broadway Bridge in the winter is the hardest part. It's tiring. When I get home I am super hungry and super thirsty cause I usually don't pack a huge lunch," she said. The emotional and spiritual aspects of EcoQuest are just as important as the physical and academic ones. That becomes clear when the students discuss leadership. Attleigh Maloney said she was always a follower at her old school. Now, because of assignments that require her to take charge of situations, her approach has changed. "I was challenged with being a leader to a lot of people and at first I was, like, "I can't do this,'" she said. "But even on this trip to The Lighthouse, we had to lead our groups to this place and say, 'OK, this is what we're doing.' That was really tough for me at first and I had to step out of my comfort zone. Now, I feel really amazing." The role of the all-knowing, authoritarian teacher has no place in an experiential program like EcoQuest. The opportunity for students to learn on their own in nature and share their knowledge is something Rittinger takes pride in. Rittinger described an assignment in which students had to identify trees and shrubs in the Meewasin Valley. Several students described shrubs that Rittinger and his co-teacher, Rebecca Elson, were unaware of. That's absolutely fine. "We as teachers are humbly letting them know that we are not the experts and, 'You know what, I'm not sure what that is, but let's find it out,'" said Rittinger. "For them to be able to find an answer that they know that we already don't have written in our notes somewhere, I think that's sometimes the biggest part of experiential education. … So the students are going to create these questions along the way, find an answer to it, and then we get to be there when they find that result."